The incredible Aquanatura Wellness SPA and Beauty Centre at the Sant’Uffizio is OPEN TO EVERYONE. Guests and visitors are welcome to spend time in our wellness areas and to undergo our amazing treatments. Fees and opening times for non-resident visitors are outlined below, and you can call our friendly staff at any time for more information. Visitors here for beauty treatments do not need to pay the SPA access fee unless they wish to use the facilities. Our external day guests can also make use of the outdoor Lavigna swimming pool if they wish. All SPA rates include locker and changing room access, plus use of our bathrobe, towel and slippers. Our SPA and beauty center Aquanatura is open 10 months per year, from mid March to mid January. € 500.00 from monday to sunday with 1 treatment included. This treatment path includes as Dead Sea salt scrub which is enriched with essential oils, especially created to stimulate the lymphatic system to begin the detoxifying ritual. After this, you will continue with a rebalancing massage using a nourishing guava and papaya butter. Your skin will regain freshness, brightness and uniformity, thanks to the targeted head and face massage combined with the action of the cleansing scrub. This exclusive package is designed to soothe tired feet and get them feeling refreshed, ready for the summer. After arrival and initiation, you will be treated to a pedicure combined with detoxifying foot bath, which used magnesium sulphate, artemisia and bitter orange to draw out toxins and rehydrate the skin. This treatment is combined with a foot massage using our special serum, which is based on aloe vera, equiseto and argan. Our Lavigna outdoor pool is available from May to September. The pool opening times are: 9:30 – 19:00. 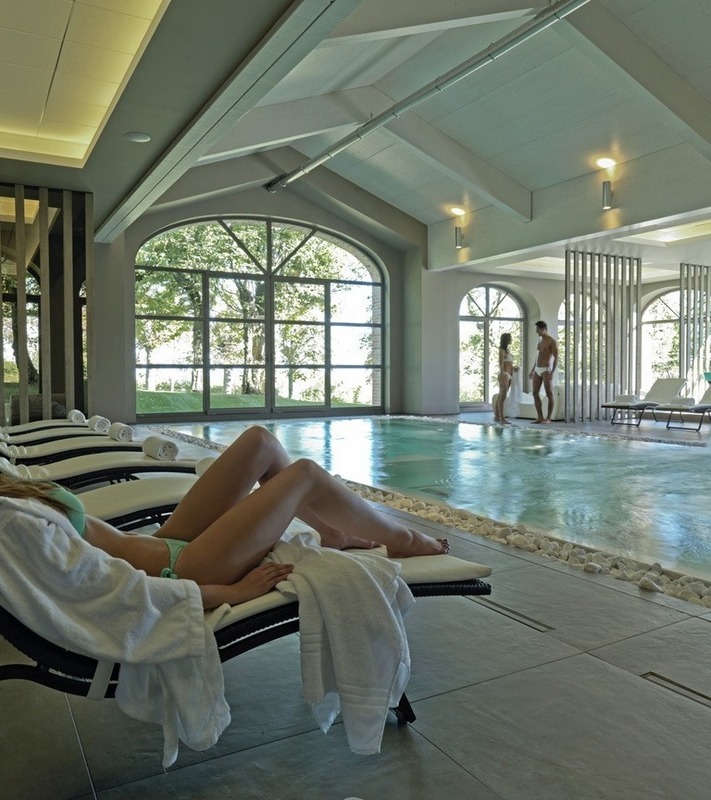 Every Wednesday between 17:00 and 20:00, every woman accompanied by a man enters the SPA FREE OF CHARGE. In addition, she will receive a coupon with a special discount of 10% on treatments booked the next time!